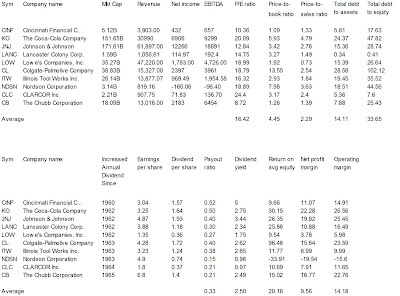 Here is a current sheet of stocks that increased their dividends year after year over a period of 25 or more consecutive years (U.S. Dividend Champions). 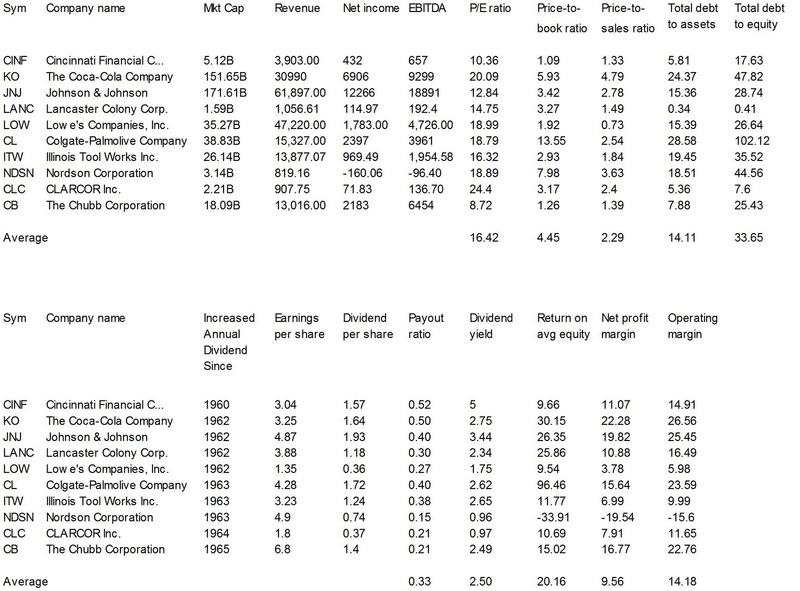 The list begins with stocks that have the longest history in dividend increasing, starting with the year 1953. This article will be divided into several parts; more than 90 Dividend Champions will be presented. Stocks with a long dividend history and consecutive increasing dividends are excellent candidates for a dividend income investor. Dividends are the main wealth contributor and they deliver nearly one third of the annual return in the long-run. The average dividend-yield of the Dividend Champions list part II amounts to 2.50 percent while the average payout ratio is 0.33. The average P/E ratio is calculated with 16.42, price to sales ratio 2.29 and price to book ratio 4.45. Total debt to assets ratio is 14.11 leads to a return on equity of 20.16 percent. The operating margin amounts to 14.18 percent. Companies are traded at AMEX, NYSE, NASDAQ as well as being part of the Dow Jones, S&P 500 or Nasdaq Composite.